Was gluing into the laptop screen as usual with piles of work, while a mail from Harish, Blogadda popped up. And…my eyes also popped up as it was…… “An Invitation to Goa to have a Top Bloggers’ meet….Lots of surprises awaits.” ……..I didn’t wait even for a second to reply “Yes!”, though I generally discuss with my hubby dear to take any decision like this….I thought of the ways of conveying and convincing hubby after clicking the ‘Send button’ this time. 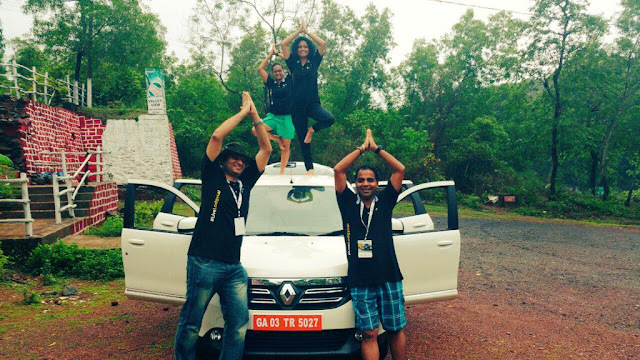 Time rolled….Blogadda revealed that the whole trip will be sponsored by Renault, and we will be driving the newly launched MPV – The Renault Lodgy at Goa! Soon, received lovely Banners from Blogadda and Renault to flaunt in Social media….. Received the air tickets soon…and the Team information. My teammates were the sweet, tremendously energetic, adventurous girl Rutvi from Mumbai, a popular film critic Murtaza from Delhi and the lively social entrepreneur & Investor Satish. 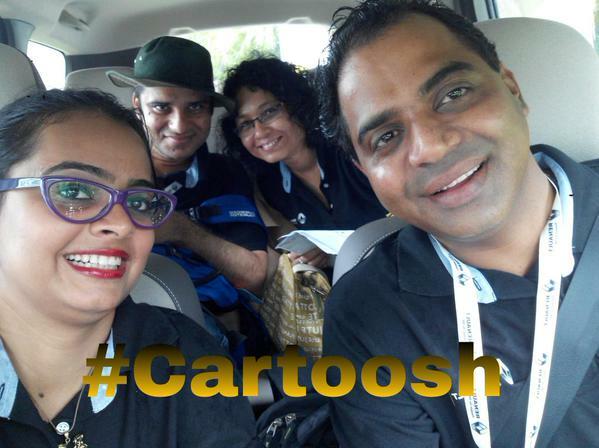 Rutvi took the initiative to christen our team as – “Cartoosh”….Team Banner followed from her side only. Mobile started saying “Tweet! Tweet!” and “Up! Up!” all through the days and nights continuously, while few days left for the event….Co-ordination, planning continued with high speed…..as if we guys already knew each other…..
Piyush and Tiger picked me up on the way to Airport. 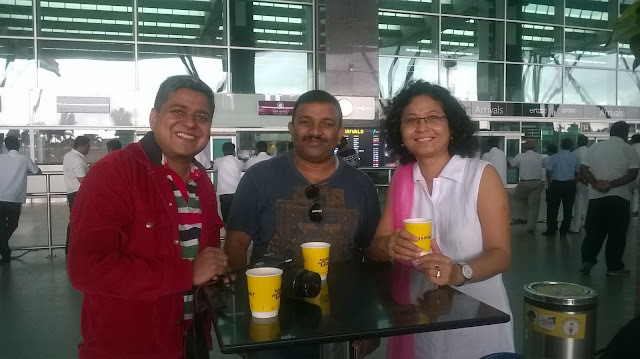 Waited for other bloggers from Bangalore in the airport, enjoying the lovely weather, while we all exchanged our experience, stories as bloggers. Blogadda kept tweeting the instructions what we needed to do, like ‘Click a pic with the boarding pass’, ‘click a pic with the playcard” to accumulate points. Received the Boarding Passes, boarded on the flight. 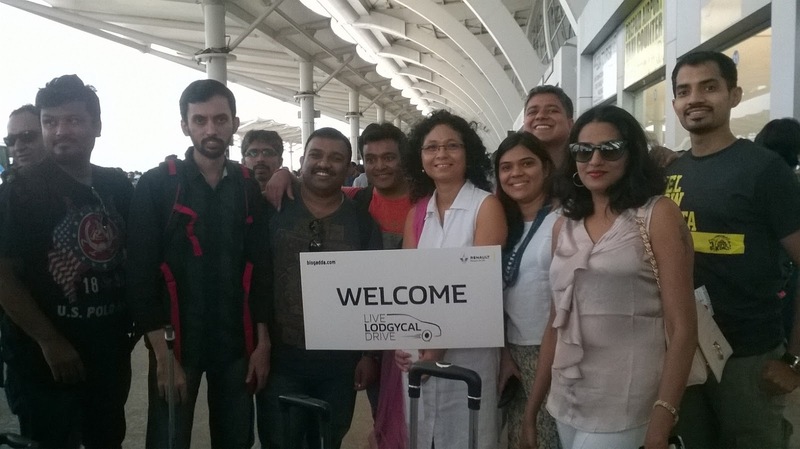 At Goa Airport, The Leela Palace guys were waiting for us with the Bus. 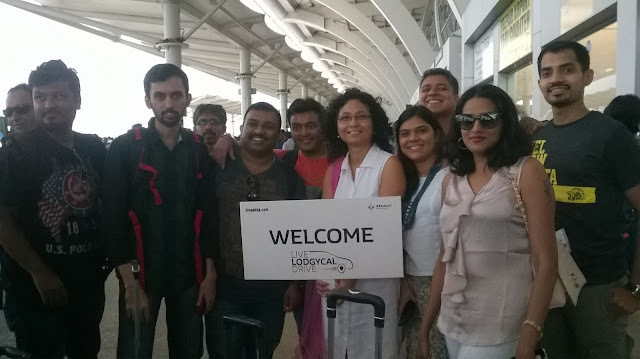 The bloggers from other cities also arrived. 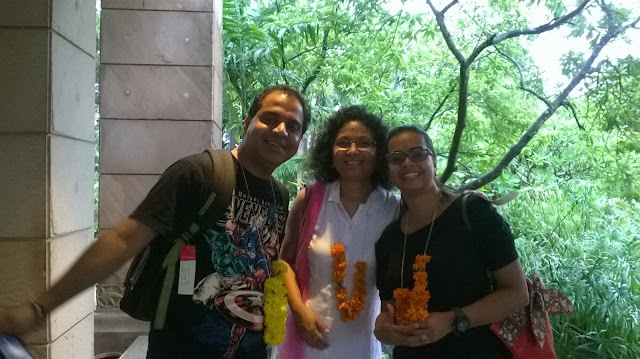 A warm welcome at The Leela Hotel by Kautuk from Renault, Ankita and Ankita from Blogadda, which was followed by High Tea. I met my team mates. 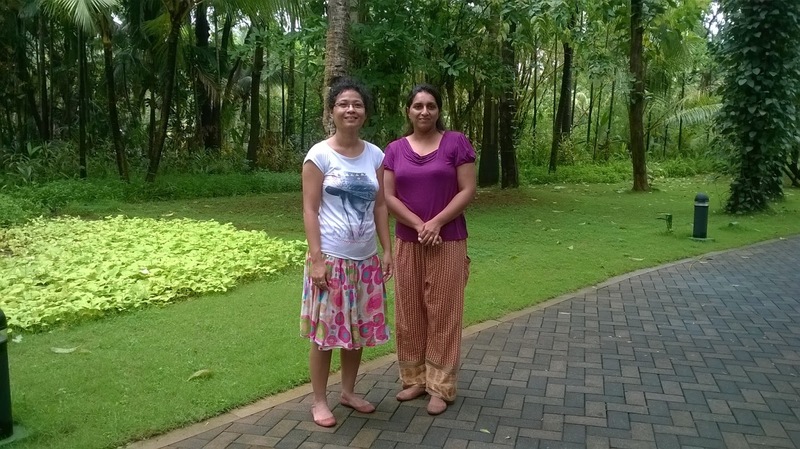 We went to our allotted rooms to take some rest…….The stunning property of The Leela enthralled me totally. And what spell bounded me more is my roommate……the lovely lady, the reputed blogger- Sharon. 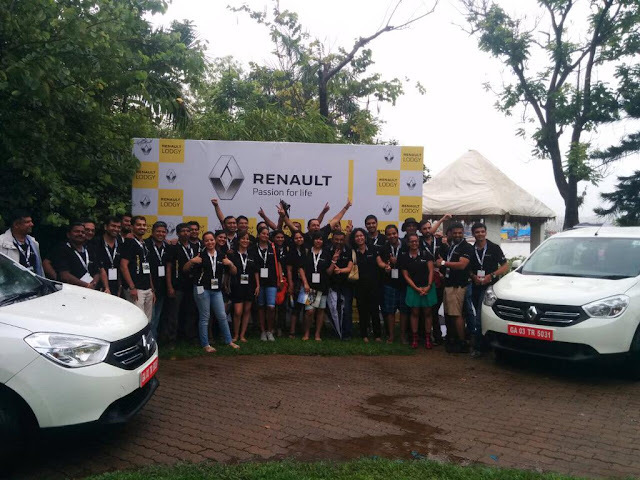 At around 7 pm, we met at Leela’s grand hall for the introduction session, the presentation by the Renault Brand management representatives. We wind up the Day 1 with a networking grand dinner party where I met all lovely bloggers. An exciting action packed day it was! We were all set to drive the MPV after a heavy breakfast. 10 cars were distributed among 40 bloggers. 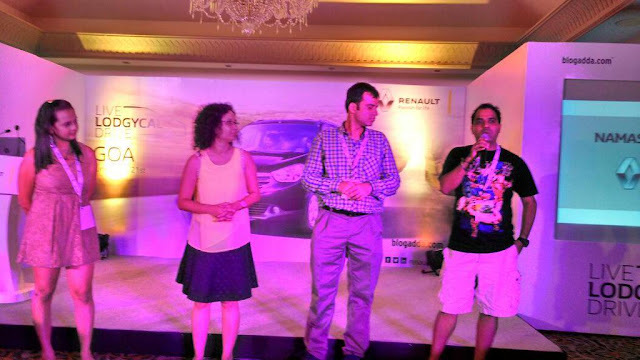 And one person from Renault Lodgy team or Blogadda accompanied each car. We started our drive. Blogadda kept tweeting with the instructions to gather the points like click pics of a red bike, a man with red pant, lady with a pink umbrella, a duck, a buffalo, fishes, a peacock, a mango tree with mango etc. Roads were free and curvy. Co-passengers were lively. 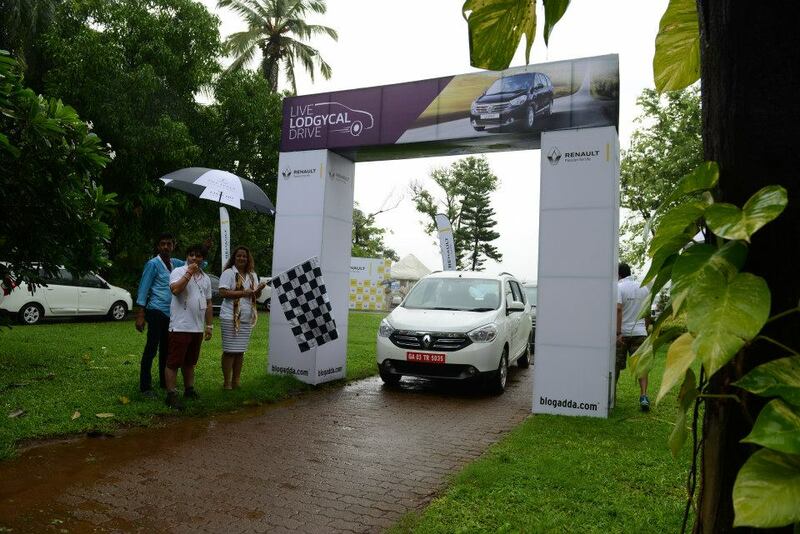 And the drive was really lovely…..I can summarize my opinion in one sentence “The Renault is an amazing MPV with the best price and variant options”. We all bloggers met at The Lalit for the lunch, enjoyed Lalit’s private beach. 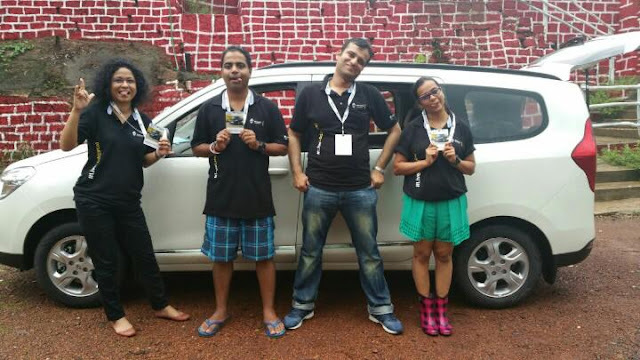 Tried to click wacky pictures with the Car as instructed by Blogadda. Art of Living on the High! How we are looking by the way??? We were back to Leela by 5 pm whereas specials sessions, and grand celebrations awaited at 7 pm onwards. Ankita from Blogadda came and talked to me if I could be a panelist. I could see no reason to say ‘No’. 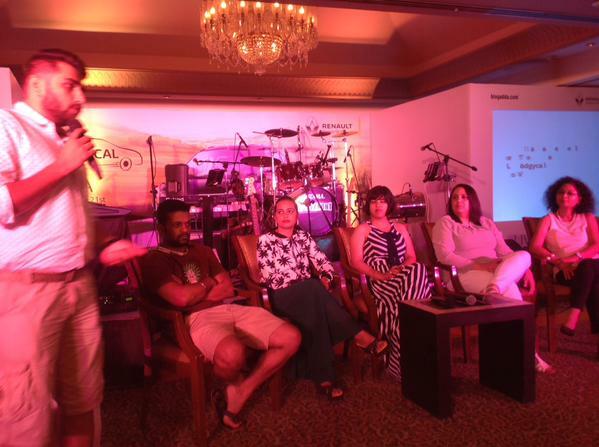 We had a lovely Panel discussion and couple of bloggers shared their experience and put forward their guidance. A Panel Discussion : Felt good to be a part of it. Fashion Blogger Neha rocked the Stage! 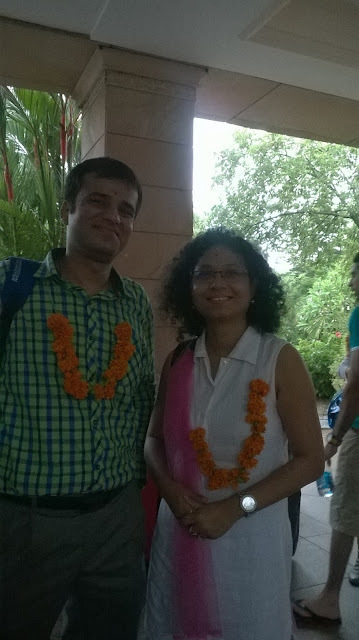 Ankita and Tridib taking the stage! 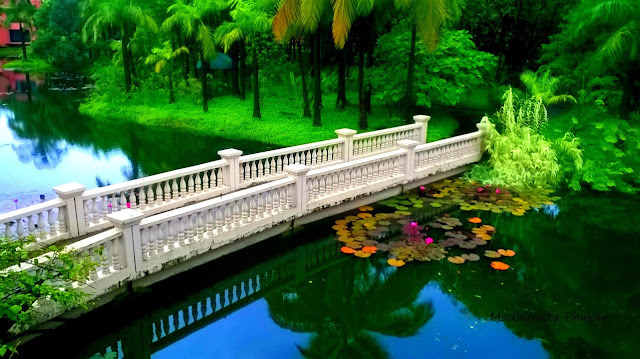 Early morning, Sharon and I decided to have a cup of tea in our balcony enjoying the beauty of the Leela. After having our tea, we walked around the whole property including the private beach. 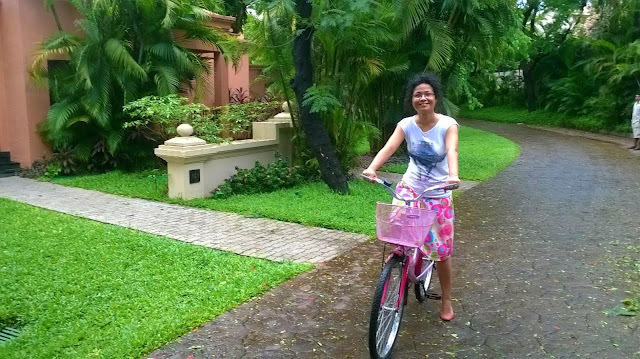 Do I know how to ride a bicycle ? Guess!!! After having our breakfast, we had lovely discussions among all the bloggers till our bus arrived to take us to the airport after our lunch. We boarded our flight at 5 pm. 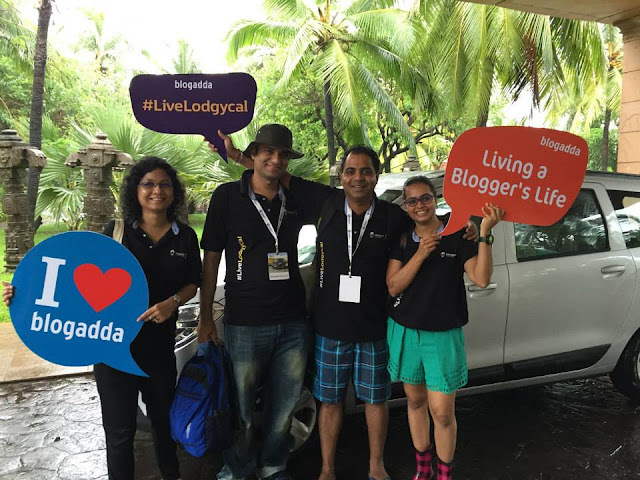 Thanks Blogadda and Renault Livelodgycal for such a wonderful opportunity. Click here to read my review on Renault Lodgy. You can check official photographs at Renault here and at Blogadda here.